Flamingo Lake presents an opportunity to own a daughter of Dubawi, one of the world’s greatest stallions. Furthermore she is out of a mare by Danzig and comes from a wonderful family, that of Polish Precedent, Wavering Monarch and the English Derby winner (and sire of Treve), Motivator. Flamingo Lake is of average height and is well conformed. She has good bone, an attractive shape and a kind outlook. She was a winner over a sprint distance. She is in foal to Smart Missile. 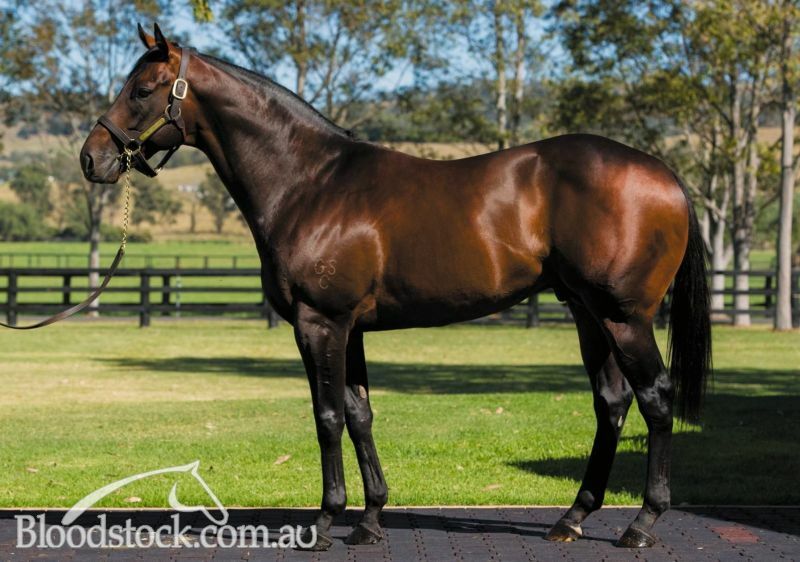 Smart Missile is in the top 5 of all sires in Australia in terms of winners in 2018 / 2019 and is, this season, the sire of 5 Stakes winners including the G1 winner Maid Of Heaven and the outstanding G2 winner Smart Melody. 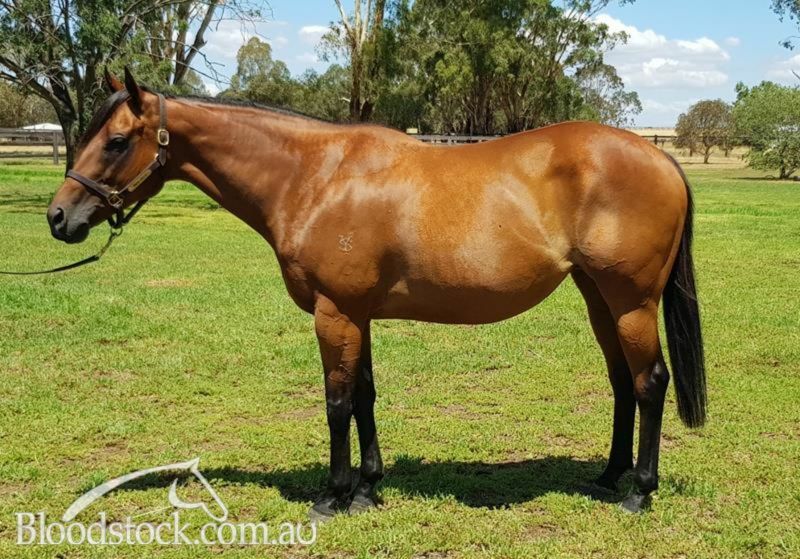 Flamingo Lake and her Smart Missile pregnancy represent a very attractive commercial package. DUBAWI (IRE) (2002). 5 wins-3 at 2-from 6f to 1m, Irish Two Thousand Guineas, Gr.1. Sire of 1099 rnrs, 826 wnrs, 166 SW, inc. Postponed, etc. Sire of the dams of SW Dream Castle, Blair House, Liberty Heights, Royal Julius, Comedy, Danawi, Tantheem, Amorella, Dance Music, Dramatic Queen, Futooh, Hey Gaman, Key Victory, Mildenberger, Pursuing the Dream, Rock Dove, SP Sopran Roccia, Silver Line, Drummer, etc. Arawak (g by Reset). 5 wins to 1500m, A$120,360, BRC Captain Morgan H., 3d ATC Coca Cola Amatil H.
Stribling (g by Reset). Winner at 1350m, 2d BRC Bert Cips P.
Flamingo Lake (f by Dubawi (Ire)). Winner. See below. Samson's Treasure. 2 wins at 5f, 6f in U.S.A. WAVERING MONARCH (c Majestic Light) 6 wins, US$466,773, Santa Anita San Fernando S., Gr.1. Sire. ALL CANADIAN (g Alleged) 13 wins, US$201,634, Greenwood Valedictory H., L.
KAHYASIN (c Jarraar) 8 wins-1 at 2-from 1300m to 2200m in Brazil, Taruma G.P. ANPC-Derby Paranaense, Gr.2, 3d Taruma G.P. Parana, Gr.1. Sire. Quality Special (f Burooj) 2 wins-1 at 2-at 1400m, 1800m in France and Brazil, 2d Taruma Classico Criadores, L, 3d Cidade Jardim G.P. Presidente Guilherme Ellis, Gr.3. Get Real (c Setembro Chove) 3 wins at 1400m, 1600m in Brazil, 2d Taruma Classico Luiz Gurgel do Amaral Valente, L, Cidade Jardim Prova Seletiva. WESTERN BORDERS (c Gone West) 6 wins at 6f, 6½f, US$263,299, Hialeah Sprint Championship H., L, 3d Aqueduct Carter H., Gr.1-twice. Sire. GERVAZY (c Miswaki) 6 wins, US$399,688, Gulfstream Park Sprint Championship H., L, 3d Aqueduct Carter H., Gr.1. Sire. MOTIVATOR (c Montjeu (Ire)) Champion 3YO in GB in 2005 (Long). Joint Champion 3YO in GB in 2005. 4 wins-2 at 2-from 1m to 1½m, £1,021,903, €240,495, The Derby, Gr.1, Doncaster Racing Post Trophy, Gr.1, York Dante S., Gr.2, 2d Leopardstown Irish Champion S., Gr.1, Sandown Eclipse S., Gr.1. Champion sire. MACARTHUR (g Montjeu (Ire)) 4 wins-1 at 2-from 1m to 2½m, £185,727, €27,193, Royal Ascot Hardwicke S., Gr.2, 3d Epsom Coronation Cup, Gr.1. IMPERIAL STAR (c Fantastic Light (USA)) 3 wins at 1¼m, Kempton Magnolia S., L, 3d Nad al Sheba Sheikh Maktoum bin Rashid al Maktoum Challenge #2, Gr.3. Auggies Here (g Hilal) 7 wins from 1m to 9f, 3d Monmouth Lamplighter H., Gr.3. ANTRIM RD. (c Fit to Fight) 5 wins-2 at 2, US$437,888, Illinois Derby, Gr.2. BEGGARTHYNEIGHBOR (c Half Ours) 7 wins to 6f, Laurel Dancing Count S., L. Sire. Race Record: Winner at 800m in Aust. 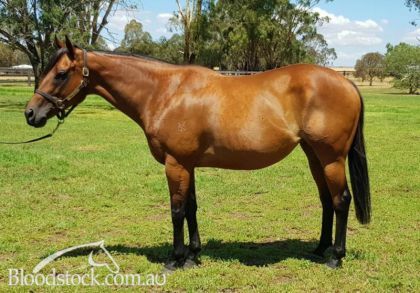 Produce Record: Dam of 1 named foal. 2016 Tornado Flame (f by Toronado (Ire)). Unraced. 2018 (c by Odyssey Moon). Served by Smart Missile. Date of last service, 04.10.2018.